It seems like just yesterday that the term “indie” was typically represented by games that could be beaten in thirty minutes and offered little to no polish or in-depth features. Thankfully for both gamers and for the developers of these games, that definition is a thing of a past. 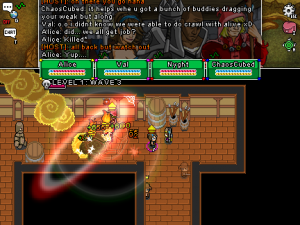 Indie games (like the Wanderlust game) today typically offer interactive and fun gameplay at a fraction of the cost in comparison to AAA titles. Over a year ago Wanderlust: Rebirth hit the indie market and has since then endured numerous content patches and fine-tuning updates to make it an indie title that everyone should have in the arsenal. 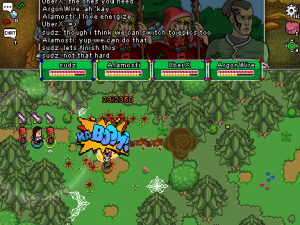 The Wanderlust Game: Rebirth is defined by its developers–an impressive 3 person team–as an online 4 player co-op retro arcade-action RPG that offers more content than most professionally-funded games. While at first glance that may seem like too many features and claims to be incorporated an indie title, I assure you: that is a very accurate definition. At its core, Wanderlust: Rebirth has an old-school appeal to it in terms of graphics. 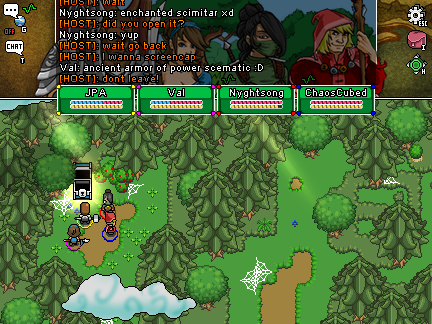 Reminiscent of RPG classics such as Chrono Trigger and Secret of Mana, the game combines the retro role playing adventure feel with a hint of new age features and techniques. Character creation is standard for any RPG. The user is presented with his choice of male or female, each capable of taking on the role of one of four classes: Fighter, Alchemist, Cleric, and Elementalist. 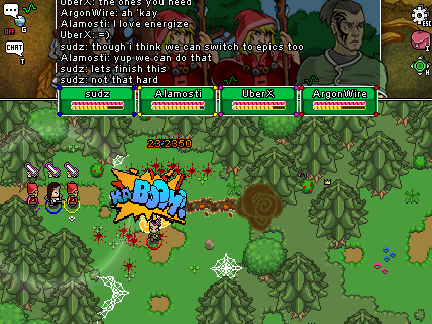 The initial tutorial of the Wanderlust game teaches the player all about the easy-to-learn but hard-to-master combat system. While it’s possible to play through a majority of the game in its single-player form, Wanderlust: Rebirth truly shines in its co-op nature. 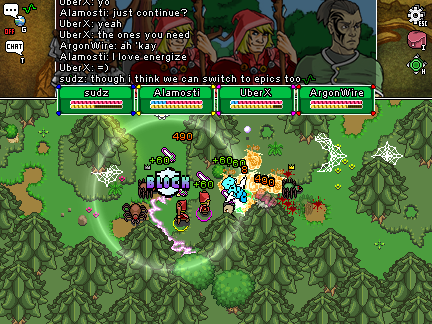 Using a simple host / join game system, players can team up with up to four players and take on the monsters–not to mention the incredibly fun to fight bosses–with their friends. Like any good RPG, Wanderlust: Rebirth rewards you for your gameplay by allowing you to level up your character and place stats as you wish, as well as loot drops to help make your character even stronger. Being a fan of games that reward users for the adaptation to the games systems as well as skill-based decisions rather than games that expect you to crunch numbers to figure out which stat point gives you the overall “best character”, I found that Wanderlust: Rebirth was a breath of fresh air. In the game, pushing the right key to block will mitigate damage, so even if you’re a bit “under leveled” for a certain part of the game, you can make up with it with mastery of the block and dodge techniques. The bosses in Wanderlust: Rebirth are an enormous amount of fun, especially with a friend (or two or three). Not only are they fun, they give a big sense of accomplishment due to the fact that bosses in this game are no pushover. In fact, while players who have mastered the ability to dodge and block can probably take down the final boss in ten minutes or so, another group might find themselves trying over and over for hours. Not once did I have to pause the game and crunch some numbers to figure out how to be the “best character”. The story in Wanderlust: Rebirth is nothing too in-depth, but its certainly there. Most indie titles have practically no story and while Wanderlust: Rebirth has a lot of typical RPG cliche’s those looking for an RPG with a story won’t be disappointed. I didn’t realize it until a bit of the way into the game, but I am very thankful for the dialogue in the game. Having recently played games like Tales of Graces f and Hyperdimension Neptunia mk2, it was refreshing to not have to sit and read through enormous walls of text just to progress through the game. The ending of Wanderlust: Rebirth is actually pretty cool, and even after beating the game you unlock epic mode which is a much more difficult version of the game with some added content and bonus ending if you beat it on epic mode. The replayability based off the co-operative gameplay as well as epic mode is insane(in a good way) and I would expect there to be at least 100 hours of content with epic mode. Graphically, Wanderlust: Rebirth encompasses a crisp 8-bit artwork style with its sprites, environments, and animations. I was surprised to see just how large some of the enemies–primarily bosses–turn out to be since most games of this type typically keep to the same enemy sizes throughout the game. Despite being an older style of art, the environments are detailed and well made and the spriting and level designs hold up to AAA titles like Zelda and Chrono Trigger. If your a fan of classical RPG music in games like Final Fantasy, Wanderlust: Rebirth will not disappoint you with its score of music. Upbeat music when entering towns and intense battle music is no longer a pleasure of the past as Wanderlust: Rebirth manages to do it perfectly. 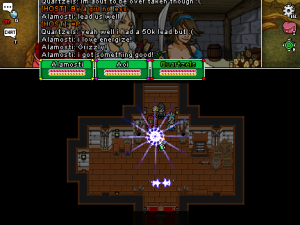 The sound effects from battle and the little things such as menu navigation fit well with the game and even when music would loop I never found myself getting overly bored with it or tired of hearing it. Overall, it’s tough not to recommend Wanderlust: Rebirth to everyone. At its incredibly low cost and hours and hours of gameplay, not to mention all the fun to be had with the co-op multiplayer, you’d be doing yourself a disservice by not picking it up. Wanderlust: Rebirth is the first indie game since Terraria that I’ve excited told all my gamer friends to pick up so we can play online together, and I have to be honest: if I can get three friends together I expect us to suffer the same fate that we did with Terraria; hours of non-stop co-op action until the only reason we stop is due to lack of sleep. The game is a sincere reminder that indie games can be just as much, if not more fun than AAA titles. 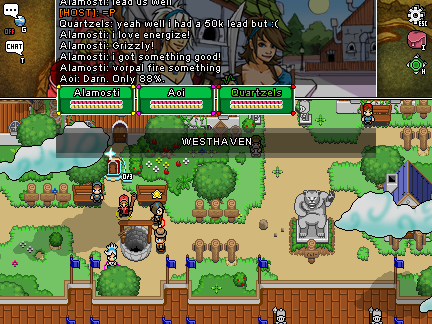 If your looking for co-op fun, action RPG style gameplay, or a classic refresher to just how fan games used to be, then hurry up and pick up Wanderlust: Rebirth. Now. You can get the game and five others for just $5.99(though you better pay more!) as part of the IndieFort bundle through April 12th.